The worst part of being dead is that there's nothing left to live for. No more kisses. No more secrets. No more gossip. It's enough to kill a girl all over again. But I'm about to get something no one else does-an encore performance, thanks to Emma, the long-lost twin sister i never even got to meet. Now Emma's desperate to know what happened to me. And the only way to figure it out is to be me-to slip into my old life and piece it all together. but can she laugh at inside jokes with my best friends? Convince my boyfriend she's the girl he fell in love with? Pretend to be a happy, carefree daughter when she hugs my parents good night? And can she keep up the charade, even after she realizes my murderer is watching her every move? To be honest, i was a little disappointed in this novel. It didn't start to get really good until about three fourths of the way in, but after that i was hooked and want to read the next one. If you watch the TV show of this series on ABC Family it is completely different. In the show Sutten isn't dead, but in this book it starts off with her being dead. I don't really know if i can say i like one better than the other, because so far they don't have a lot in common. I really like the plot line and i like how its a lot scarier than the show. In the show no one is dead yet, just a lot of mystery, but in the book its spooky and your scared, so its a lot more like Pretty Little Liars. I have a good feeling that the second book is going to be better since i have now confirmed it to myself that it is going to be nothing like the show and also i think that now that were past the initial background information and have realized what path the story is on now it will just take off and get a lot better. That last one fourth of the book that i said was really good did hook you and made up for the slowness in the beginning. I really like Emma's character, but not so much the real Sutten and also her friends aren't too likeable either. It seems its almost like a "were friends, but we really all hate each other and are trying to be more popular than the other". It's a very dark story so far, much darker than pretty little liars. The beginning of the book is really slow. It's interesting, but it doesn't hook you into the story until about three fourths in. If you watched the show then don't worry about getting bored due to repetition, because the book and the show are completely different story lines, i don't know how they got that TV show from this novel. I like that the book is more like Pretty Little Liars, because it is a much darker vibe than the show gives off. Emma's character i love, but Sutten and her friends i don't care for at all. The dead Sutten, however, i like a lot more than who they claim she was when she was alive. Even though i wasn't hooked till the end im excited to read the second novel, because i feel like it's going to be where the story really kicks off and starts to get good. 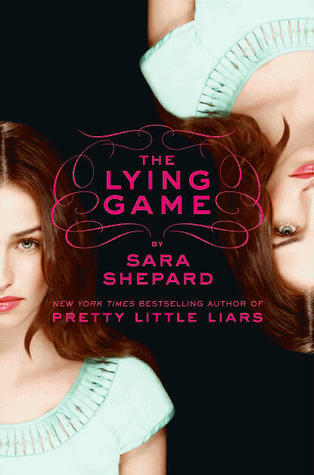 I recommend this to anyone who is into the darker side of YA and to those who are big Pretty Little Liars fans. When a book is made into a TV show or a movie, do you like it better when they are closely related or when they are totally different? If i watch the show or movie first i like when the book is closely related, because then its easier for me to follow the book better, but if i read the book first i like the show to have somethings be the same in the beginning, like the initial plot and characters, and then deviates off the path and creates its own story later on. I find when i read the book first that I'm yelling at the TV saying "that didn't happen!!" but then after awhile i usually like the path the show is taking, but if i read after watching I'm just confused the entire time. I get irritated if they are different. For example in the movie My Sister's Keeper they totally changed the ending and it ruined the entire story!